For Office Manager Appreciation Week, Managed by Q is highlighting the people who keep teams happy and productive. Sydney Ng joined Movable Ink, a startup that helps email marketers deliver customized content, as the Office Assistant and Receptionist in April of 2016. Prior to working at the company's New York Headquarters, she studied psychology and art, and worked in a variety of roles, including retail, special education, and real estate. In 2017, she was promoted to Office Manager. We spoke with Sydney about how her diverse career background has helped her handle all types of projects as Movable Ink has grown as a company and continue to expand their offices in Chicago, San Francisco, and London. What brought you to Movable Ink and drew you to the company and the role? Before Movable Ink I was working at a real estate management company and I didn’t feel challenged or that there was something driving me to be there everyday. I started looking into startups since I’d been reading about young companies that invested in their employees’ growth and placed an emphasis on great culture. I stumbled upon the receptionist posting at Movable Ink through a distant friend on Facebook, passed my resume along, and hoped for the best. The recruiting process happened within one week and the office manager at the time decided to take a bet on me even though I didn’t have any previous startup or office management experience. I had never felt so happy at a company before. I feel fulfilled and challenged everyday and I work with the nicest people! How did your background prepare for the role and how has your career evolved in the two years you’ve been at Movable Ink? In college I studied psychology and studio art, and have worked at a preschool and in retail. All of those experiences roll up into what I do as an office manager. My creative background helps when it comes to planning events, creating presentations, and office decor. From my retail days, I honed my invoicing and organization skills, which I use to keep track of vendors, organize the office, and keep the pantry stocked. When I joined Movable Ink we were about 80 people and the office team was myself and an office manager. At startups, I learned, you recruit and grow very quickly, and we are now a team of 150. 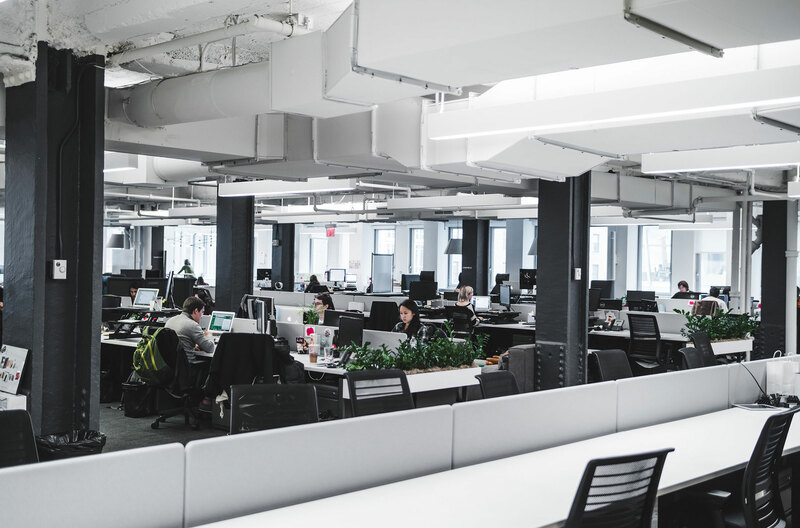 To help the company’s growth I naturally took on additional responsibilities, like overseeing a move of our NYC office, as well as managing the London, Chicago, and San Francisco offices remotely. When the original office manager became the Facilities Manager, moving into the Office Manager role was the right next step for me. Tell me about your day-to-day responsibilities as an office manager. As all office managers can tell you, there is no typical day. It is such a unique role. There are lots of little, one-off tasks, as well as bigger projects that require longer timelines. To keep track of it all I write everything down and have Post-its all over my desk. There is also always a running to-do list for all the different departments and projects that I work with. There are the regularly scheduled tasks like making coffee and restocking the pantry, which I used to manage on my own across three kitchens on three different floors of our old office space. In our new office now I have extra help thanks to our day porter from Managed by Q, which has been huge in terms of taking tasks off my plate and helping me focus on the larger projects. But I’ll always make sure to do regular walkthroughs to check up on the details of the office. For example, if a door is scraping or if I notice supplies are running low, I make a note to follow up. From a people perspective, as the team grows it’s harder to get to know everyone, so I make a point to make myself available and visible around the office. I want to be a friendly face to everyone. There are always random fires that you have to put out. Maybe one minute the sprinkler is dripping and the next, a big client is onsite and a circuit breaker just tripped. Of course these kind of incidents like to happen all at once and on a Friday afternoon! A lot of startups have offices and teams in different locations. How do you manage your other offices remotely? 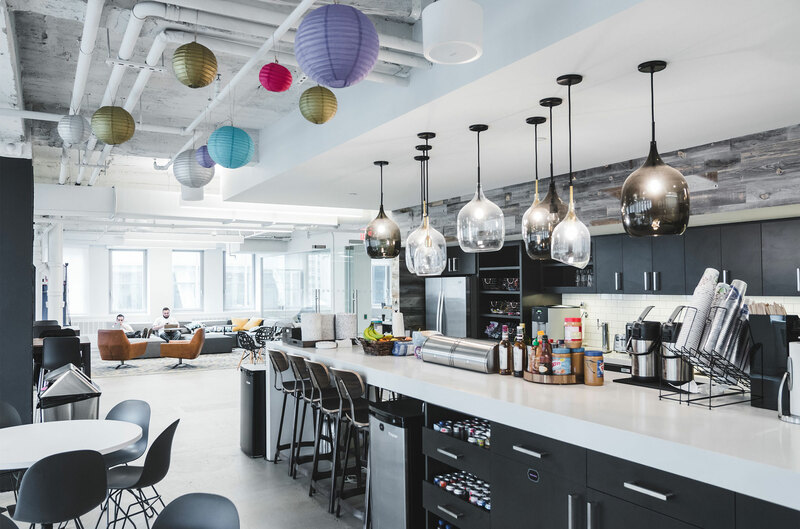 We try to keep culture consistent across all offices––we don’t want our other offices to feel disconnected from our headquarters. It’s challenging to work across time zones, but the facilities manager and I make it work by constantly checking in, starting early for London, and staying later for San Francisco. We’ve worked to replicate what we have in HQ on a smaller scale by researching local vendors at each location. We like to surprise offices with random “holiday” celebrations, like national s’mores day or solar eclipse day. I ensure that everyone gets something at the appropriate time for their time zone and can take part in the fun. Everyone works super hard and we want to feel like we are all part of the same team. What is one aspect of your job or company culture that you feel really passionate about? The people that make up the company are what make my job enjoyable. They make me want to give back to them and create a great experience. We have a variety of employee resource groups, including Movable Pink for women, Inklusive for LGBT and allies, and BCC for culture. BCC includes a representative from every department. We meet every week to talk about what is working in the office and what we can improve. We also plan monthly volunteer and fundraising efforts, as well as fun events. 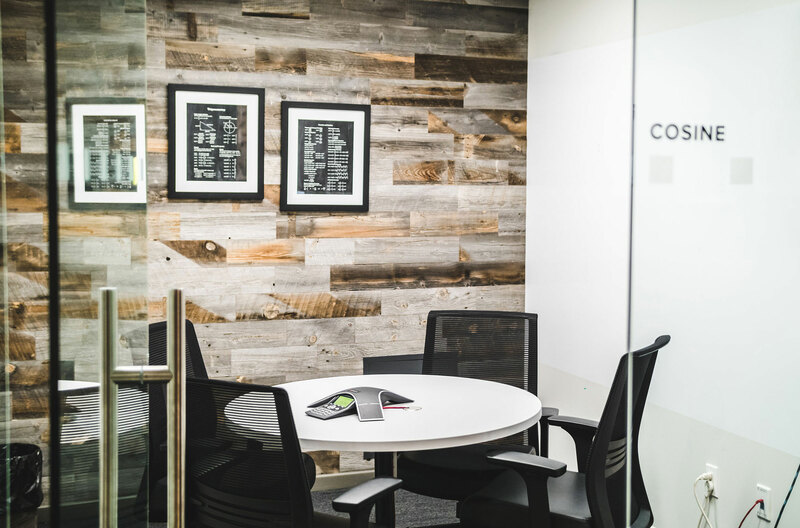 It’s not an office management driven culture, it’s a people driven culture, and very organic. Personally, at the beginning of 2018, I took the initiative to put together a wellness program. It was not something we’d officially had in place before and I felt strongly about it. We have an event once a month across all offices that touch on many different aspects of wellness. For example, we most recently did a laughter yoga class and that was a new experience for everyone! As an Office Manager you often have to handle the unexpected. What is a unique project you’ve tackled? We used to have a 14-foot shuffleboard at our old office and there was big demand for one in the new space as well. When this ginormous thing arrived we found out it couldn’t fit in our freight elevator or stairwell. We were trying to wedge it up the stairs and it weighed 400 pounds. I was going through the options: should we hire a millworker to build one from scratch onsite? Get a crane and hoist it in through the window? Saw it in half for the delivery and have it reattached once it was in place? Finally, we had to send it back and compromise with a much shorter shuffleboard, but so far everyone’s been satisfied with the solution. If you were to give a piece of advice to other office managers, especially those who are just starting out, what would it be? No two days are the same, but that’s a good thing. That’s something I love about the job. I love being on my feet doing something different every hour, whether I’m doing something creative, or making a spreadsheet and pricing out furniture for a conference room. Be open to rolling with the punches and learning new skills and experiences!